Thursday 21 March, Nuclear AMRC. We are delighted to host innovative metrology company Insphere for the launch of its rapid machine tool verification system Baseline. Insphere has worked with the Nuclear AMRC over the past year to test and develop Baseline on the centre’s largest machining platforms. Baseline can reduce machine downtime and material scrap rates, and supports the move towards Industry 4.0 philosophies. 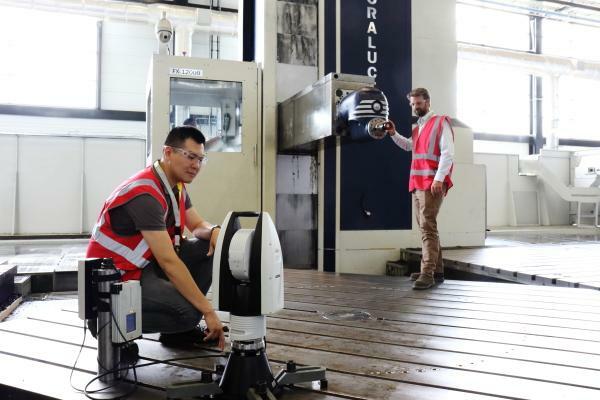 The technology provides full verification of a large machine tool in less than one hour, facilitating regular checks and providing confidence in performance prior to cutting metal. The Baseline launch event will include technical presentations from Insphere, Hexagon Manufacturing Intelligence and the Nuclear AMRC, plus shopfloor demonstrations of the Baseline technology. Refreshments and lunch will be provided.